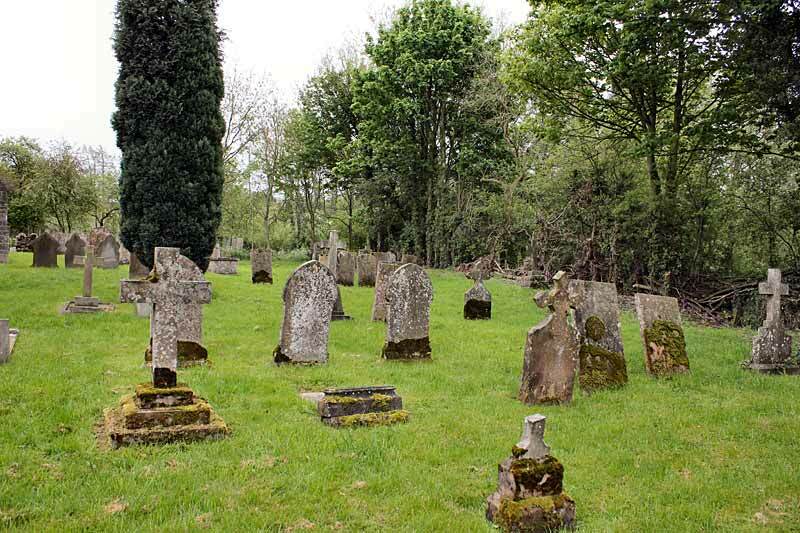 The churchyard is still in use and in good order. It is roughly square and fronts the main road with access over a ditch. Entrance to the churchyard is across a ditch with brick culvert. Brick parapet walls were rebuilt in stone in 2002. To the south-west of the churchyard is the former manor house. The boundaries are generally hedges, except for part of the east boundary which is a two storey brick dwelling with associated rights. In the churchyard are a small number of tombs, one for Edmund Crumwell, gent, who died in 1840, aged 44 years. 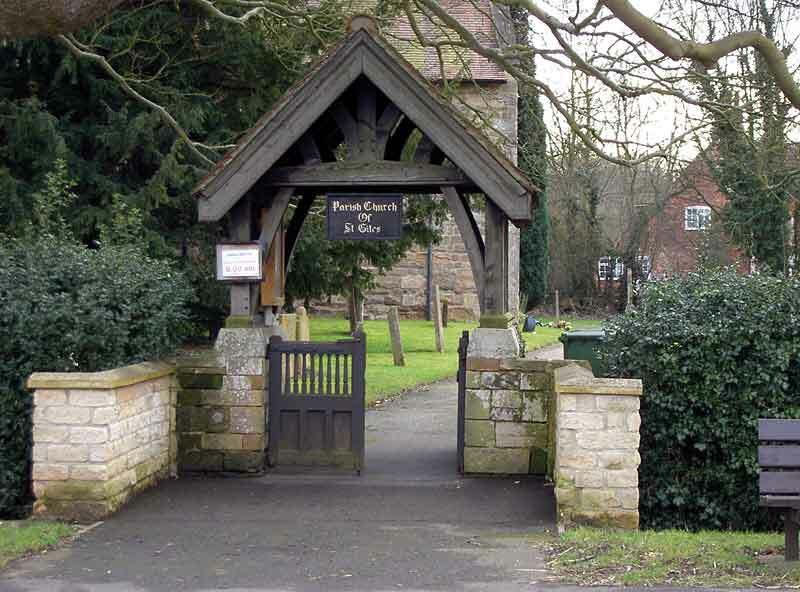 There is a lych gate access to the churchyard and tarmac path to the west door. The churchyard is bounded to the front by a hedge to the public roadway. Local knowledge refers to an original access path from the side lane to the west doorway, which was replaced by the present access to the front highway.